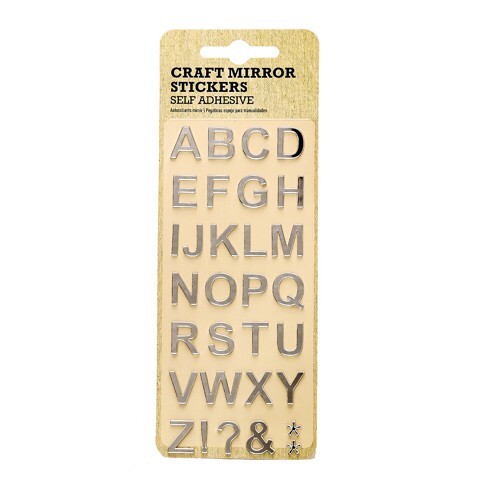 Craft Mirror Stickers 1Sheet. Insert Card Size 19.7 x 7.3cm. 4 Assorted Black Designs : Letters | Teardrop | Butterfly | Hexagon. Acrylic Mirror 0.12mm. 11g l 13g l 15g l 17g Packaging: Hang Sell OPP Bag with Insert Card.